I was raised in Quincy in the late ’80s and ’90s on both Chinese-American food and more traditional Cantonese food. I had plenty of my mother’s cooking on weeknights, supplemented by dim sum on weekends, and the occasional holiday banquet in Chinatown. With friends, I would sometimes get Chinese takeout after school or take weekend trips to Kowloon in Saugus, enjoying the sugar-laden sauces and deep-fried foods I never ate at home. Chinese food in this country is a result of adapting cooking to local tastes. Like all cross-cultural dishes, General Tso’s chicken or beef with broccoli can be very good if prepared correctly. When I go around to talk about my book, “The Chinese Takeout Cookbook,” I am often asked to distinguish between food that is “authentic” and food that isn’t. The word “authentic’’ is itself a vague term. Food has always been reconfigured to the tastes, ingredients, and needs of a region. 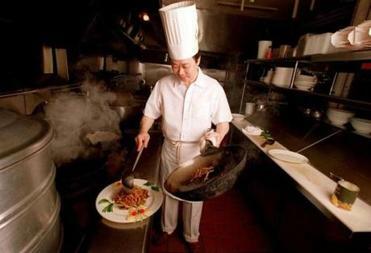 The changes in Chinese restaurants in Boston is a perfect reflection of this adaptability. As Chinese New Year approaches — the Year of the Snake begins on Feb. 10 — it’s a good time to look at how Chinese food has changed in the Boston area.